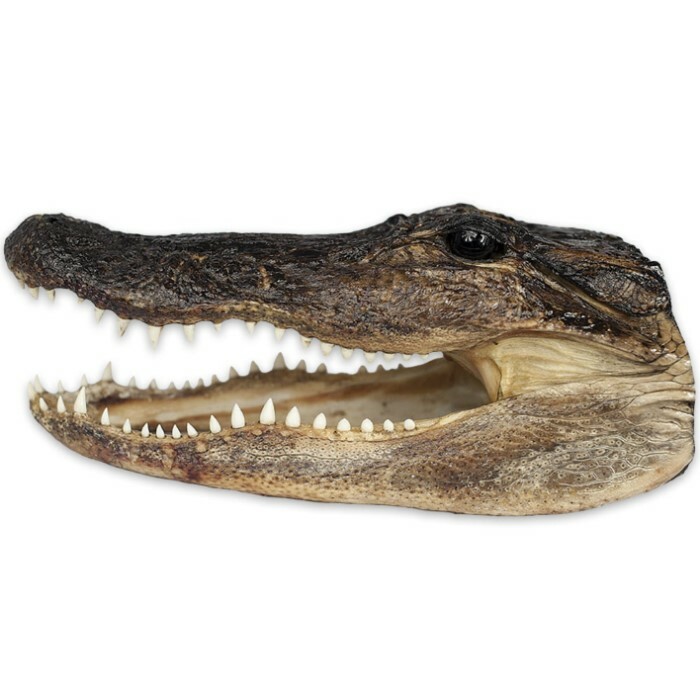 American Alligator Head - Large | BUDK.com - Knives & Swords At The Lowest Prices! Watch your fingers around these scary chompers! The preserved head of an actual American alligator, these big gator heads make interesting souvenirs or unique home decor. They're also great for science teachers to use as reptile anatomy object lessons. Frankly, they're just plain old cool and a ton of fun to show your friends! Each large gator head boasts natural skin color, a full set of razor sharp teeth and a glaring, realistic glass eye.